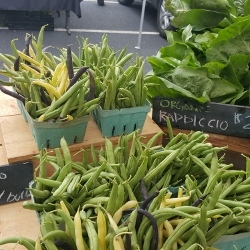 When we went to the Farmer’s Market two weeks ago, one of our preferred organic farms had tri-colored green beans! They told us they taste very similar to each other, so we bought a big basket full. They were gorgeous – rich purple, white-ish yellow and regular green bean colors. The purple ones tasted just like the green ones, but the white variety had a waxy like skin, so it was less enjoyable raw. When cooked, we were surprised to see the purple ones turned green! Bummer. We tasted them again as steamed green beans with a pinch of sea salt; the purples (or previously purples) tasted like green beans and again, the white variety was a little tougher to chew. I might not get the white ones again but it was so much fun to try them. These string beans were great just lightly steamed with the sea salt, but we also enjoyed dipping them in a variety of things for snacks. We did pinto bean dip, broccoli pesto dip, and good old hummus. They also went nicely with some Sockeye Salmon fillets and a few days later with a roasted chicken. Keeping it simple and healthy…yum. Clean and dry your beans. Snap off the stem ends. 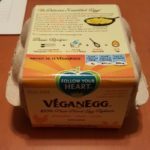 You can steam them in the microwave in a large bowl with a splash of water in the bottom of the bowl. I cooked mine for 3 minutes, checked them and then did another 1-2 minutes. You can also steam them on the stove top in a steamer basket. Just check them often to make sure they don't overcook. Mushy green beans are not as enjoyable to eat. Once they are steamed, you can enjoy them as soon as they are cool enough to eat. They store well in the fridge for 3-5 days. We dipped these green beans in various things for snacks. Hummus, pinto bean dip, and broccoli pesto dip were all delicious. Feel free to use your preferred dressings or dips to jazz up these string beans as a snack. You can also eat them plain as they are - just makes it more fun to dip them.